If you are an entrepreneur who is past the initial stages of business growth, and looking for a completely done-for-you method to generate more clients, increase your income, and position your business as the leading authority in its niche; then I’m glad you’ve arrived here today. If you are anything like my clients (some of the most well known entrepreneurs in the world), you are ambitious, intelligent, and driven to succeed. You are always looking for that extra edge to getting better results. Right now, though, you might find that your business is a bit stagnant. You aren’t getting as many new customers as you want, and your income isn’t growing as rapidly as you would like. You are facing competition in your industry and are looking for a method that will catapult your business to more profit and more popularity. Have you heard of the S2CRO Method? It stands for Search Social Conversion Reputation Optimization. It is a method I developed more than sixteen years ago, for myself, to build the first of my four internet businesses. The S2CRO Method has been tested and refined over the years, and has helped more than a hundred of my clients increase their income and build their expert status. We first focus on getting your website to attract more visitors, people who are interested in your product or service. Once your website starts getting more visitors, we then improve how these visitors respond to your offer- with measurable outcomes of either inquiries or purchases. We focus on getting your website pages converting as highly as possible through a series of experiments and tests. One mistake even experienced entrepreneurs make is focusing on more rather than better- this means they focus on attracting more visitors BEFORE they focus on better converting the people that are already visiting. This is an expensive way to run a business, especially if you are using paid traffic. Once your website is converting well, we then move to managing your online reputation, so that when your business gets Googled, only the most positive information shows up in search. This often happens naturally with the other work we do, but it’s a good idea to manage this as well, rather than leaving it to chance. This system can improve all the marketing you’re already doing, and can be a wonderful complement to any scaled traffic campaigns you might already be running. This sounds good, you might be thinking- but where would I find a person to run all this for me? Hi- I’m Dr. Rachna Jain. As an internet business strategist. 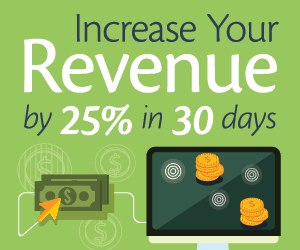 I’ve developed the S2CRO method to increase your business within just a few months. As I mentioned before, it comes out of my 16+ years of experience in marketing online, and the four internet based businesses I’ve built in this time. My particular expertise is in helping my clients build their credibility, increase their reach, and create a solid business foundation to support their sustained growth. My clients have seen business increases of more than 100% in just one year; and this has changed everything for them. They feel more confident. They reach for bigger opportunities. They make enough money to support themselves and provide for their families. And, perhaps most importantly, they step out and away from the tangles of confusion that were surrounding them before. They adopt this simple system for marketing and focus just on this system. This also saves them thousands of dollars a year in educational costs- not to mention hundreds of hours. Since this system is hands-free, they have a lot of time to focus on other areas of their business they want to grow. My specific expertise is in applied internet marketing strategy. That means I can both help you conceive of the big picture overview and implement a practical plan to get there. Rachna’s efforts have helped us focus our limited marketing budget and efforts on the highest-impact activities — so we’re getting far better results in less time. Since we began working together, our course and consulting revenue has increased 295%, traffic to key pages has increased 50%, free trial subscriptions have increased 300%, SaaS revenue has increased 400%, and our mailing list has grown 210%. 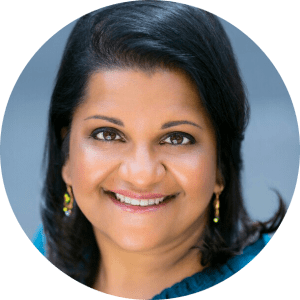 We’re excited to launch a redesigned marketing site that incorporates everything Rachna has helped us learn about our customers, so we can help more people launch their own online courses! We’ve been working with Rachna for the past six months. In that time, we’ve experienced great results. We’ve gained additional #1 listings in Google for our keyword terms, reduced our reliance on paid traffic while increasing our overall site traffic by 60%. Our number of site visitors continues to increase, our social media presence is growing, and our newsletter subscriptions and paid registrations have both increased. We’re very pleased with the results so far. We plan to work with Rachna to bring online some of our new trainings and initiatives. If you are looking to grow your site traffic and put your business in front of clients looking for you- hire Rachna. In one year working with Rachna, we experienced a 30% growth in annual sales of our half-million dollar company. With our second (newer company) annual sales doubled. Profit increased significantly (more than 100%) for both companies. We created a better marketing funnel which eased the 'perpetual-need-to-launch' pressure. Rachna helped improve our client engagement and our list not only grew but so did our credibility and connection with our community. I can't wait to see what we achieve as we work together this next year! As you can see, these clients are working in very different types of businesses, but the SR2CO method has worked for them. It’s based on proven marketing principles updated for the technology available today, and it is a completely done for you system. Because I know that you have a lot of options in terms of your marketing, and because I’d like to learn about your business without any risk to you, I’d like to make you a special, time-limited offer. I’m inviting you to meet with me for a 1:1 consultation where we can examine your business, together, and discuss how the S2CRO Method I’ve developed can help you increase your website visitors, generate more income, and grow your business in the next few months. This offer is special because I’m looking for a special kind of client to work with. I want to work with clients who are passionate about what they do and enthusiastic about contributing meaningfully to the world. My ideal clients want to create a business that supports their dream life. They are dedicated, and persistent, and will follow through. I know that this is a special kind of client. This offer is limited because I only have so much time to devote to these calls. As my available consulting spaces are filled, this offer will become more and more limited. This is why, if you want to get in on this done-for-you system, I’d invite you to apply to meet with me. Our call will focus on where you are in your business now, where you want to go, the simplest strategy to help you get there- and how we can work together to finally turn your vision into reality. Be ready to appreciate your success!